In internet day by day lots of free application are coming these days with lots of features and tools, but most of these free application comes with some unwanted toolbar, Adware and malware files which creates lots of problem on your Windows PC and slow down the performance of your PC. There are plenty of Free Windows antivirus application and free online virus scanners are available to remove such kind of files from your PC, but some time they didn’t work well and can’t locate the Adware or uninstall unwanted toolbar from your Windows PC. The best and simple way to avoid such kind of malware or problem is to be very careful during installation processes and must follow these steps on your PC to secure your Windows from attacks. 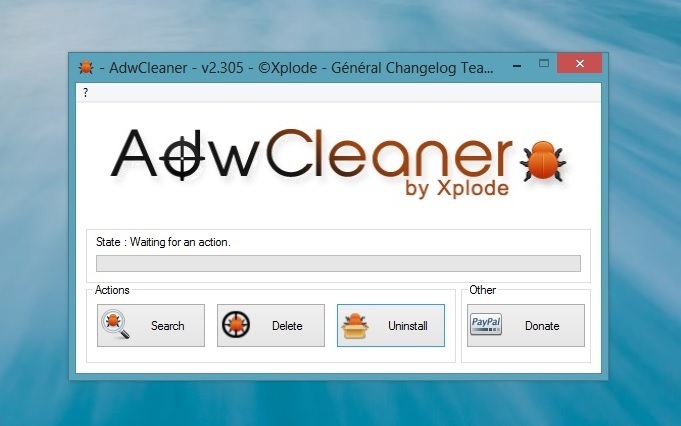 Now today we found a free application called AdwCleaner, it is free and very small application which allows you to search, tracks and delete all unwanted toolbar, adware, malware and other unwanted application on your windows machine. The application is free of cost and works very well on 32 and 64-bit versions of Windows XP, Vista, 7, and 8. So lets take a look how the application works on the windows machine and Remove Unwanted Toolbar and Malware. All you have to download and install this small 500KB application on your Windows pc, you can find the download link at the end of this post. 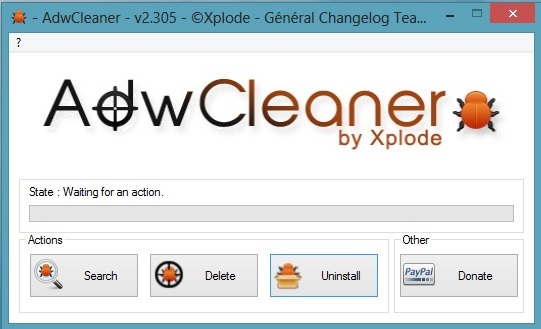 Once the installation is complete on your desktop run the application but before starting AdwCleaner, close all open programs and internet browsers. On the main screen of the application you can see some button like Search, Delete and Uninstall. From the main screen hit the “Search” button to start the process. Now the application will scan you PC for the malware, adware and unwanted toolbar. Once the scan process is completed you can see the list of the files which the application found on your Windows PC. Now From here all you have to hit the “Delete” button to remove the crapware from your PC. With the help of this small utility you can easily remove many of these types of programs for a better user experience on your computer and while browsing the web. Looks like a good addition to the armory of stuff like cc cleaner!